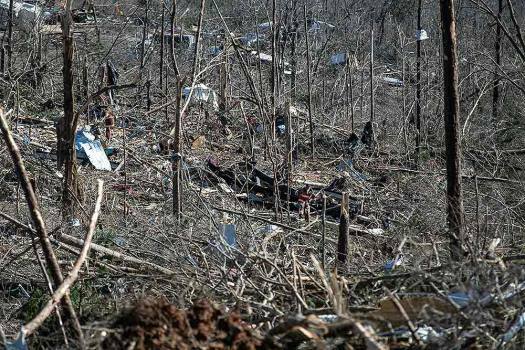 Debris litters a field after a tornado touched down in McCracken County, Ky.
Debris sits on the side of a road in a neighborhood devastated by a tornado in Beauregard, Alabama. 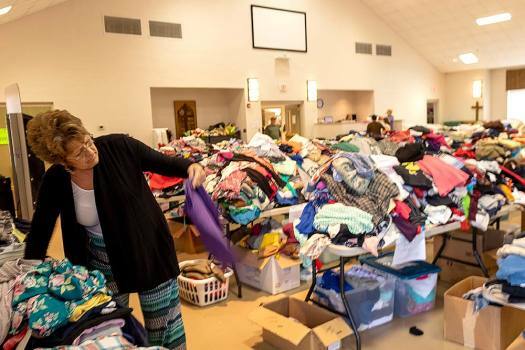 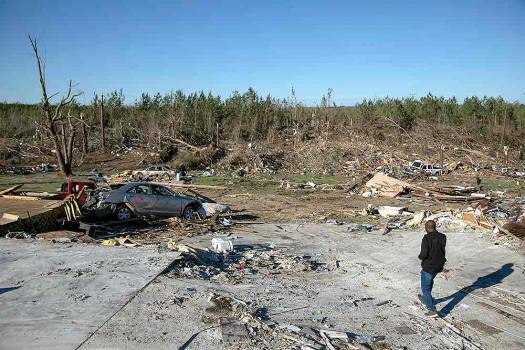 Cindy Sanford sifts through the debris while retrieving personal items after a tornado destroyed her home in Beauregard, Alabama. 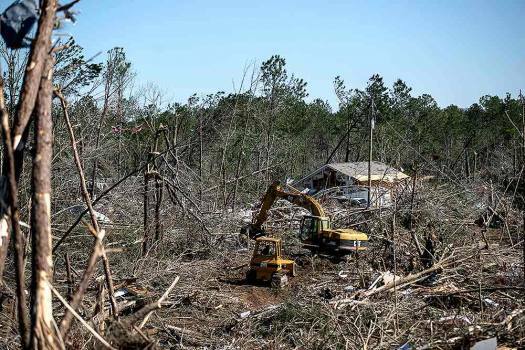 Crews cleanup the debris in a neighborhood devastated by a tornado in Beauregard, Alabama. 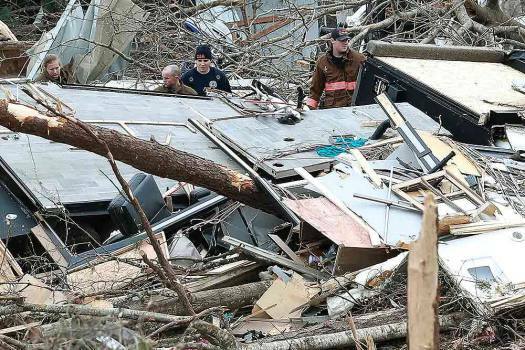 A firefighter searches the debris in a neighborhood devastated by a tornado in Beauregard, Alabama. 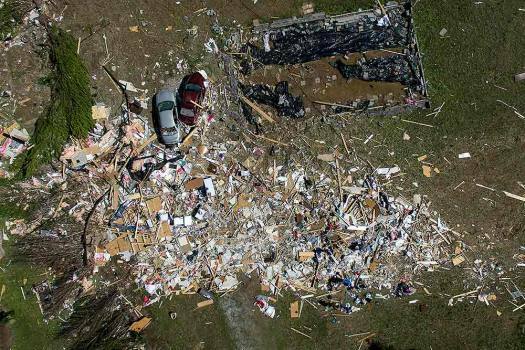 Debris litters the neighborhood where multiple members of the same family were killed in a tornado in Beauregard, Alabama. 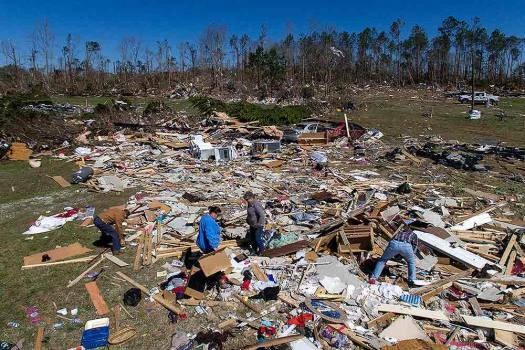 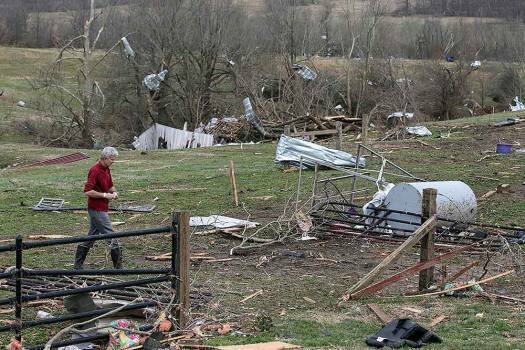 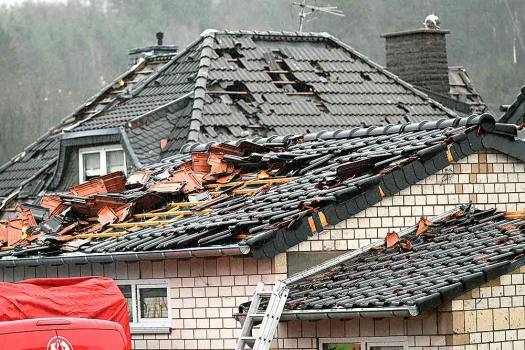 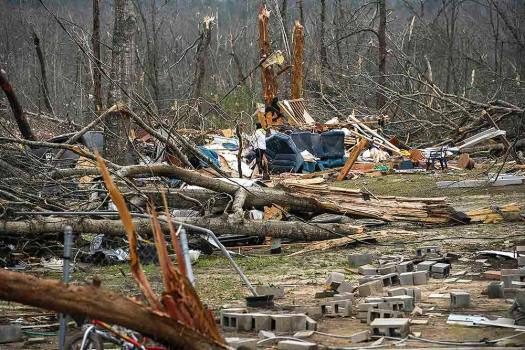 Debris is scattered after a tornado blew a home off its foundation in Beauregard, Alabama. 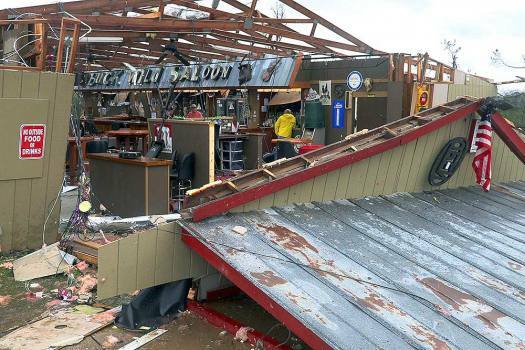 Debris litters the Buck Wild Saloon, after it was heavily damaged by a tornado, in Smiths Station, Alabama. 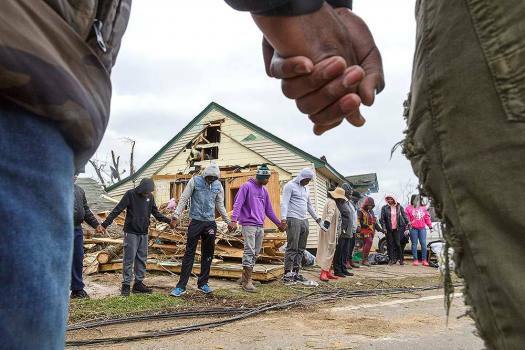 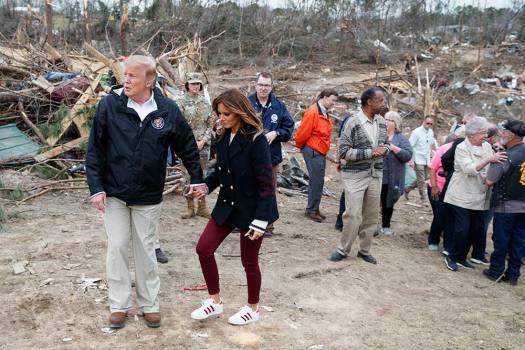 Residents of Talbotton, Ga. pray together outside a home destroyed by a tornado the day after storms battered Alabama and Georgia. 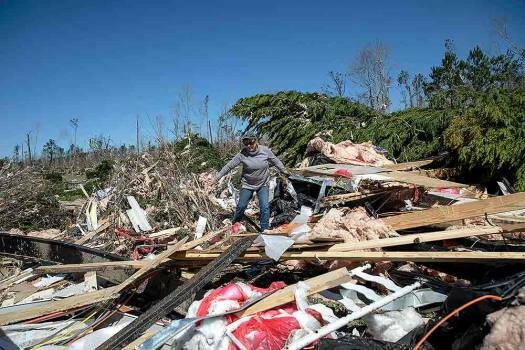 Brittney Downs looks through the debris of a family member's destroyed home the day after a deadly tornado ravaged the area, in Beauregard, Alabama. 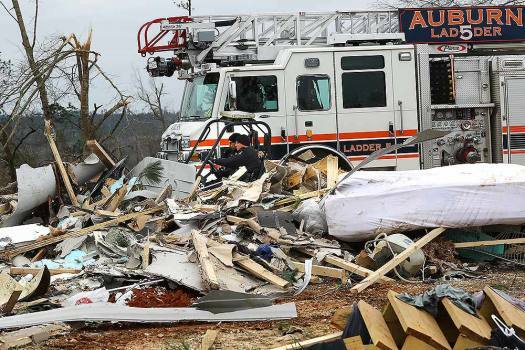 Rescue workers, local residents, and volunteers search the wreckage of a home along Lee Road 38 after after a Sunday night tornado in Beauregard, Alabama. 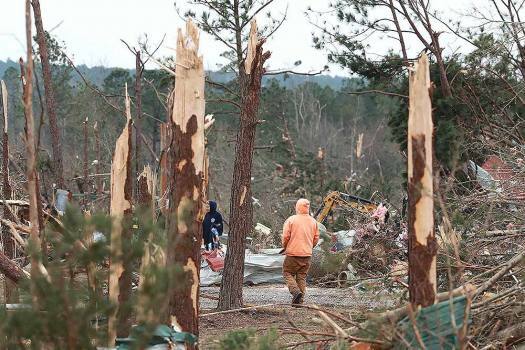 A resident makes his way along Lee Road 38 after a Sunday night tornado in Beauregard, Alabama. 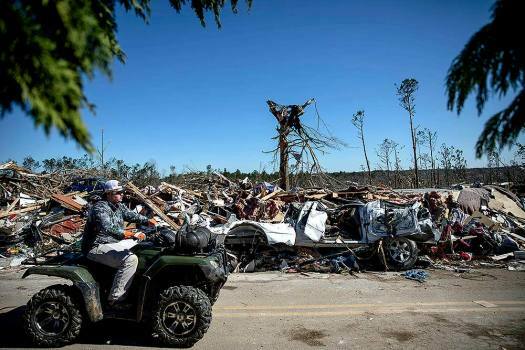 Rescue workers in a four wheeler pass by the wreckage of a home along Lee Road 38 after a Sunday night tornado in Beauregard, Alabama. 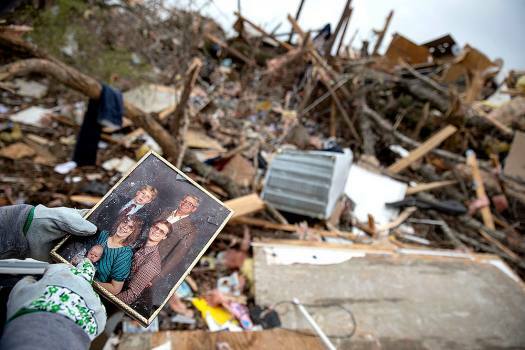 Danny Allen recovers a family photo while sifting through the debris of a friend's home destroyed by a tornado in Beauregard, Alabama. 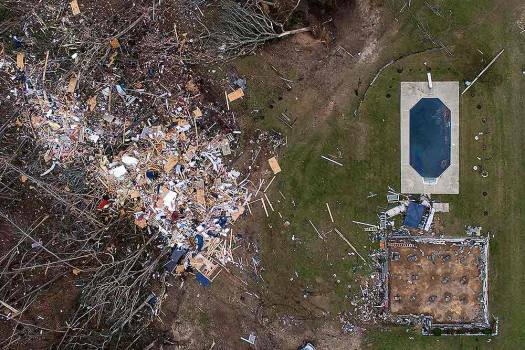 Debris from a home litters a yard the day after a tornado blew it off its foundation, lower right, in Beauregard, Alabama. 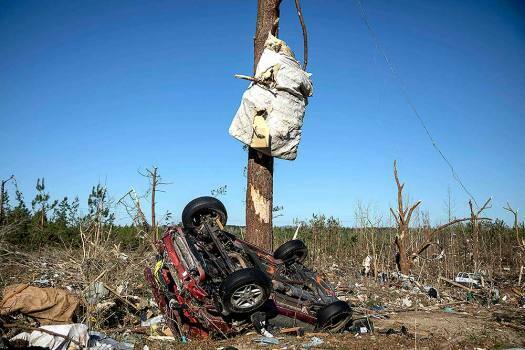 In the streets, a palm tree more than 30 feet (9 meters) tall had crushed a pre-revolutionary American car. 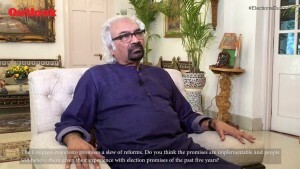 The Politics Of Degrees: Is It Important That Leaders Be Well Educated?